Water Pressure Reducer installation services by SDP&D offers plumbing and drain cleaning services which includes installing Water Pressure Regulators. 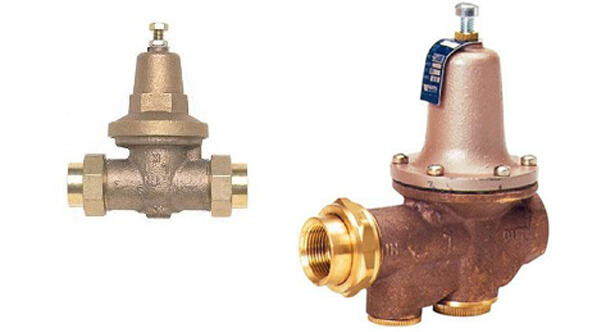 When adjusting or changing your water pressure regulator, a professional installer should perform the work. Water pressures should not be too high or low. If too high, pipes could burst and cause a flood. Go buy a water pressure gauge and screw it into your spigot or hose bib after the water pressure regulator and check. If it reads below 50 lbs p.s.i. or above 70 lbs p.s.i., give us a call. If over 80 lbs p.s.i…. it would be very dangerous and would need to change the water pressure regulator immediately! as your pipes could blow out and flood your home causing major damage. A safe pressure for the Water Pressure Reducer is around 50 – 55 – 60 / The best pressure being 55 lbs p.s.i. In fact… it is advisable that if your pressure is below 50 or above 70 the water pressure regulator should be changed just to be safe. We have been in business for many years now providing quality and affordable services to many thousands of satisfied customers in the San Diego County area. 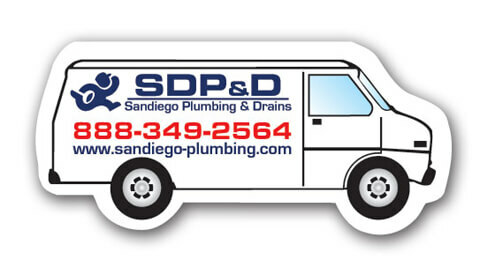 If you need a new Water Pressure Regulator installed… Call SDP&D toll free at 888-349-2564. you’ll be glad you did! Water Pressure Reducer Installers.